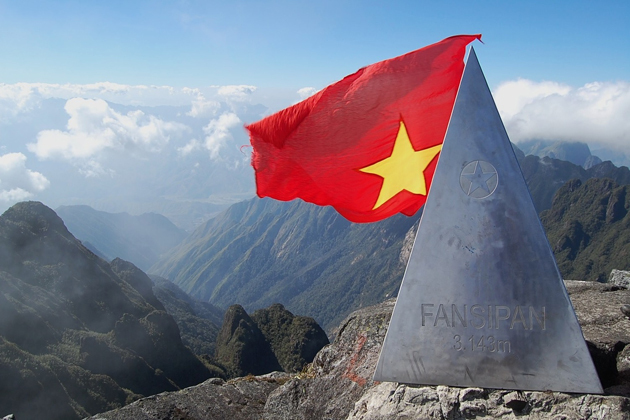 Mount Fansipan is a wondeful destiantion in Vietnam which you do not want to miss in your Vietnam tour. It encourages curiosity, the conquest, and satisfies your need for an adventurous journey. With the height of 3143m, conquering Mount Fansipan by trekking will be such a great challenge. Thanks to Fansipan Cable Cars, you can climb up the rooftop of Indochina. 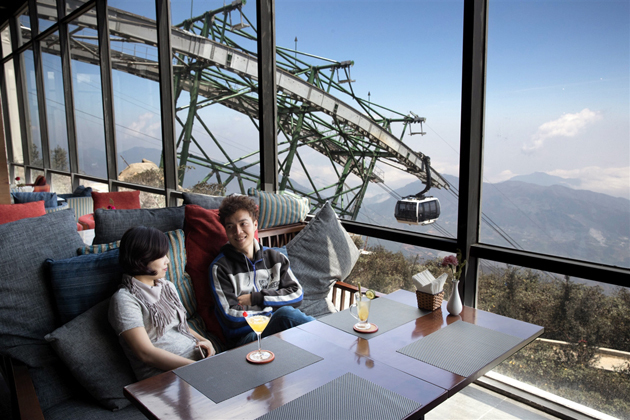 The cable car system of Sun World Fansipan Legend which conquers Mount Fansipan is the highest, longest and most modern system in the world. 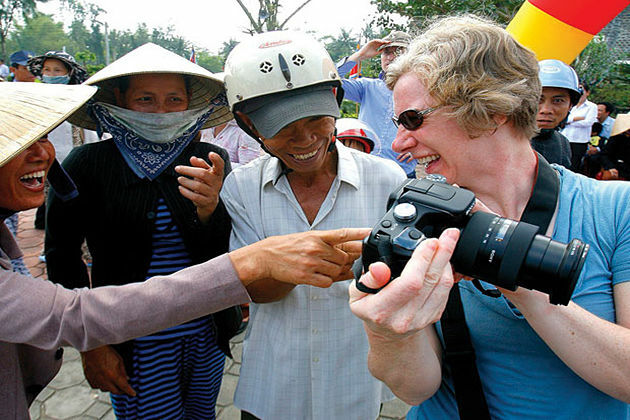 It has welcomed a thousand of both domestic and foreign tourists each day. 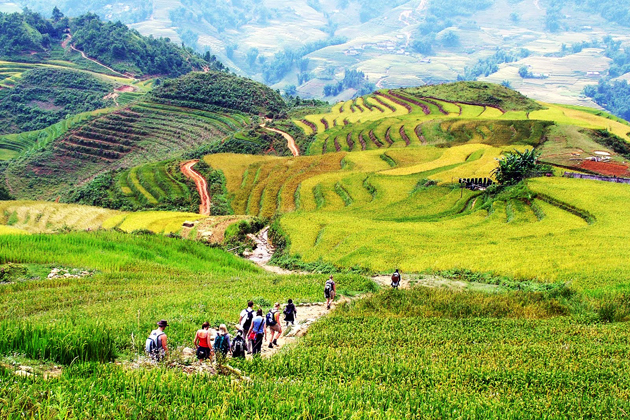 From the peak of the mountain, you will get the panoramic views of nature in Northern Vietnam. 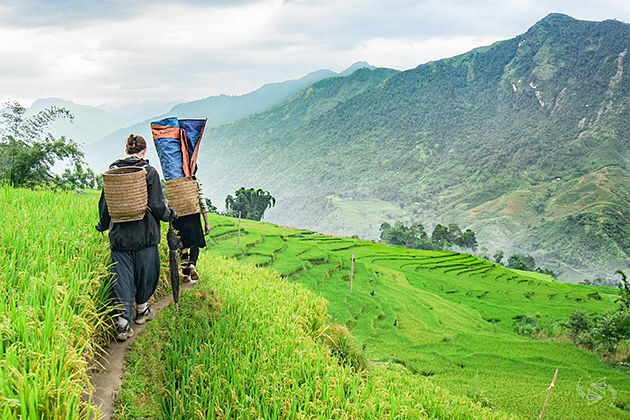 Many tourists are absolutely amazed by a great experience from the magnificent scenery and picturesque scenes of Muong Hoa Valley, Hoang Lien National Park alongside the striking peaks of the Hoang Lien Son Range. 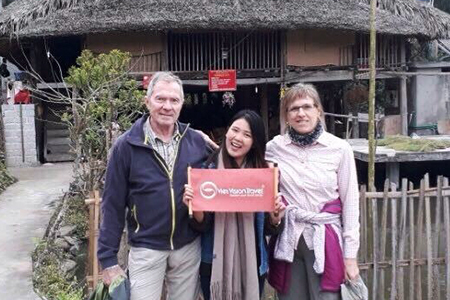 Before reaching Fansipan cable car, you need to go to Sapa first. Bus, private coach and night train are names of recommendation. With reasonable prices and luxurious amenities, bed busses are the most popular choice to travel from Hanoi to Sapa. 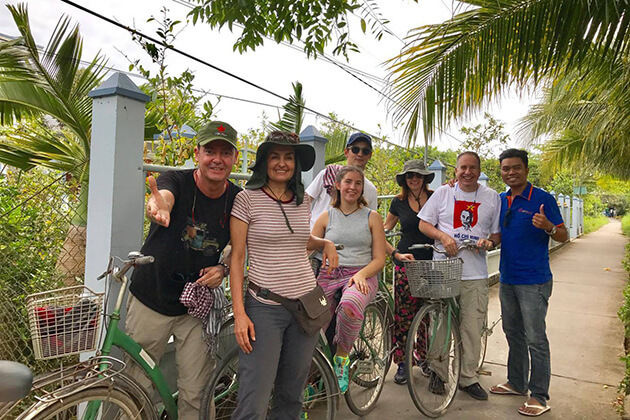 Visitors will use of best and free services such as Wi-Fi connection, cool towels, drinking water, snacks, blankets and guides of bilingual English – Vietnamese. 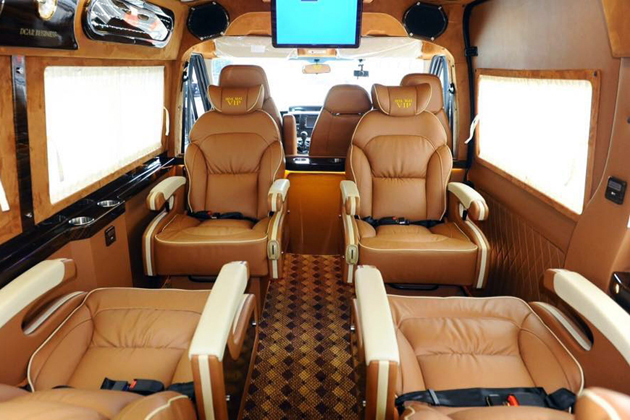 If you prefer a much more comfortable travel to Sapa, luxury limousines with only 9 seats will satisfy your requirement. The car is well-equipped with modern facilities such as leather chairs, air-conditioner, TV and other conveniences. 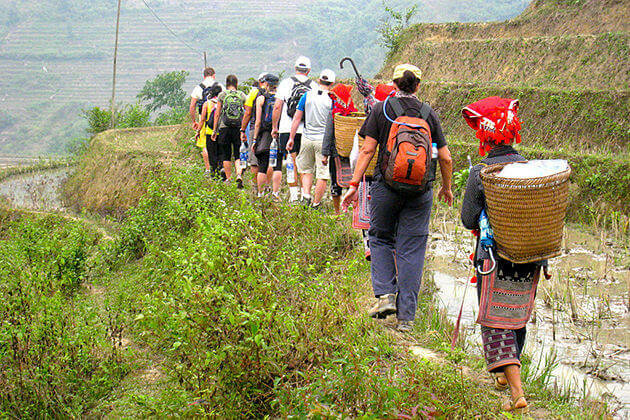 A detailed guide and reviews about Hanoi-Sapa night train here. 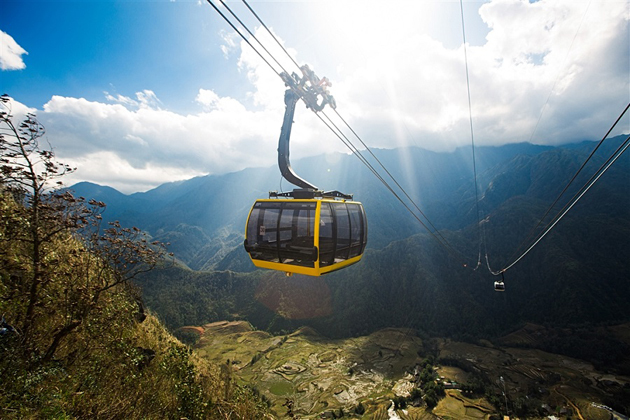 Fansipan Cable Car station is located in Fansipan Legend resort (3km from the center of Sapa). There are four means of transportation for you to consider. The short distance gives you a chance to go to Fansipan Cable Car on foot. It only takes about 30 minutes to get to the station. You can find the route through English signatures on the roads or ask the staff of the hotel you stay in. 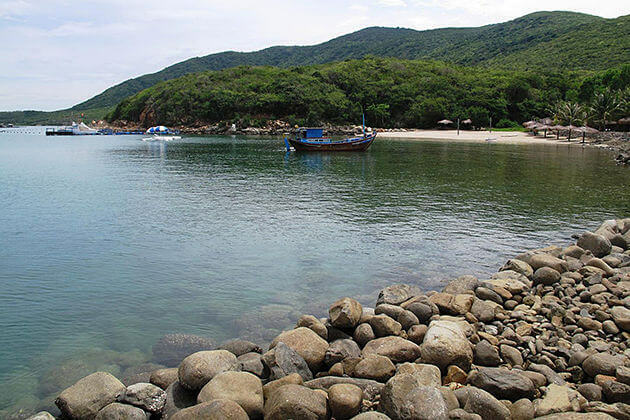 Ticket price: 200.000 VND (adult) and 150.000 (children) for a single round-trip ticket. Buy a combo ticket of train and cable car reduce 50.000 VND in total price together with a coupon in Van Sam restaurant. The train will go through the mysterious tunnels, the bridges overlooking the majestic nature with mountains and forests, magnificent Muong Hoa valley and peaceful villages of ethnic people. Each cable can accommodate 30 to 35 people; however, the capacity of the whole system is about 2000 passengers per hour. 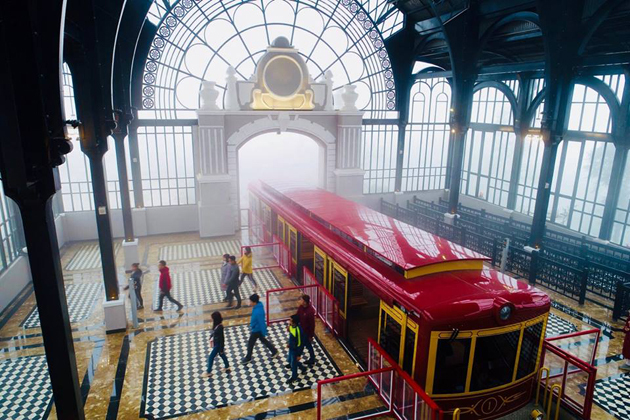 The cable car journey is 15 minutes instead of climbing two to four days as before. During the journey, visitors will be overwhelmed by the scenes which they have never seen before. The higher you go, the more breathtaking the sceneries are. The temperature also decreases and the cable can swing a little by winds. Do not worry; the safety of the cable car system is guaranteed the highest world standard. Sitting on the cable car, visitors will feel floating in the midst of the sky and enjoy the breathtaking sceneries of the Hoang Lien Son range, the beautiful Muong Hoa Valley with the terraced fields as strayed into the fairy tale. After the Fansipan cable car arrived at the last station, it takes 20 minutes for visitors to climb about 600 ladders to reach the top of Fansipan peak. 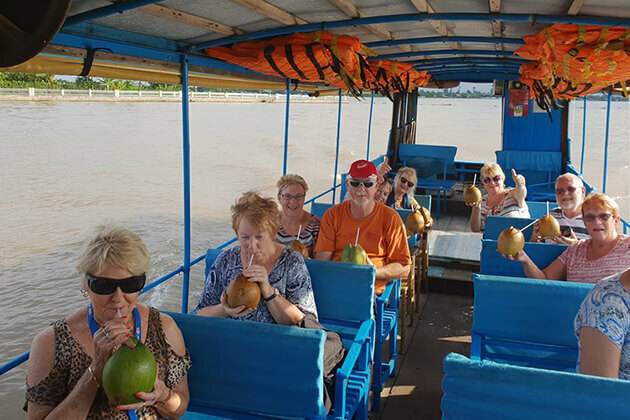 Travelers can stand on the “roof of the Indochina” and touch the pyramid 3.143m height which cover by floating clouds to feel the magnificent landscape and the depths of the soul. The Hai Cang Restaurant, with its deep-red colors and sumptuous design, generates a warming sense of luxury in the crisp conditions of the mountain. Traditional foods of Northern Vietnam are available in the restaurant. 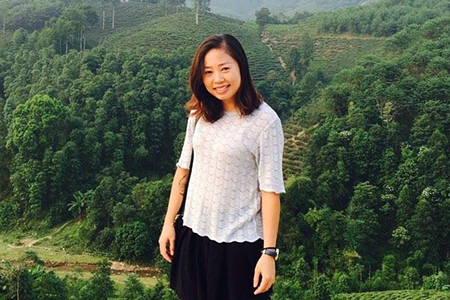 With a panoramic view of the Hoang Lien Son Range and Muong Hoa Valley, Hai Cang Fansipan Coffee really brings the guests a moment of effortless serenity as they enjoy the vast beauty of the mountains. Have a cup of warm coffee will help you refresh yourself during the tour. 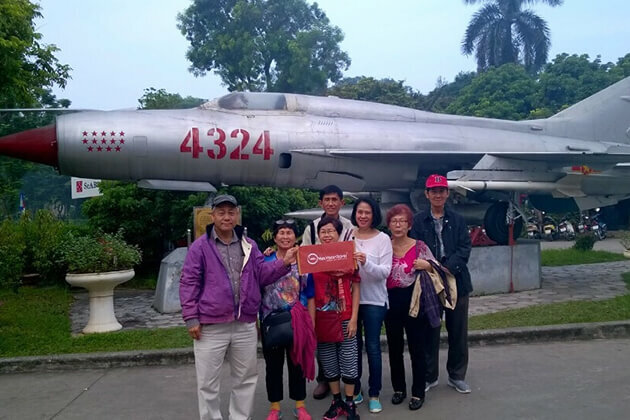 Whatever equipment you might need for the journey overcoming the Roof of Indochina can be easily found in the area Fansipan Station, at Tuyet Tung Souvenir shop. Dress neatly and warmly for climbing. Whether you take your cable car tour in the morning or afternoon, remember to bring your gloves, towels, and woolen hat because the temperature on top of the mountain is just about 8 degrees Celsius. Remember to take a break when climbing, should not be too hard because the steps are high and steep. The air is nearly 300 meters high, so it is quite thin, you have to go slowly to avoid low blood pressure and shortness of breath. Trekking tools such as gears, packs, poles, and raincoats, etc, should be prepared for the journey. Do not litter along the way as you will affect the surrounding landscape.